Running Press Miniature Editions, 9780762464852, 16pp. This kit includes everyone's favorite fortune teller, Zoltar, printed on clear plastic and housed within a booth, with two flickering lights and a light-up crystal ball. With the touch of a button, Zoltar speaks a different fortune every time! Kit also includes 16 fortune cards. 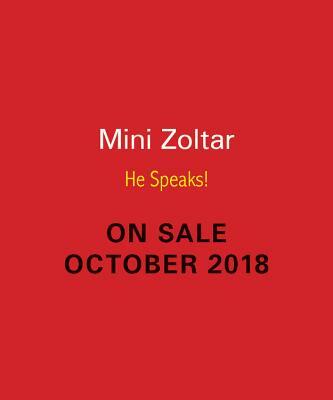 Zoltar Speaks® is the famous animatronic fortune teller who is found in hundreds of locations around the world including arcades, attractions, theme parks, gift shops, and homes.